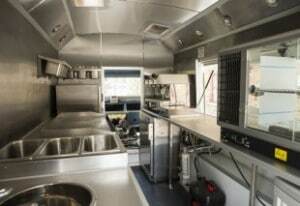 Catering Trailers must have six Monthly Gas Safety Inspections, leading to Certification if the Vehicle passes all safety testing. Cemco are happy to undertake Catering Trailer Gas Safety checks in line with GSIUR regulations and advise on equipment and installations should they fall short of the recommendations. Please contact Cemco today to undertake all services, repairs and safety checks for all major southwest outdoor events! For those that don’t know, and that includes almost all of us, the gas equipment and installation in commercial kitchens comes under a piece of legislation called The Gas Safety (Installation and Use) Regulations (GSIUR) for short. These regulations have been in existence since 1998, but seem to have been missed when it comes to installations at outdoor events. But we now have the opinion of several leading industry bodies that catering equipment and installations used within trailers and marquees, tents stalls and pop ups come under the GUISR. We have been aware of this for a long time with trailers and as you will have noticed pretty much all event organisers and employers now demand a Gas Safe certificate before they will let you trade, so this came as no surprise. But the grey area has always been caterers that use any of the other types of structures that we see around today at events and festivals in particular. This has come to light this season as many organisers are asking for gas certificates for all types of installations and gas engineers have not got any guidance documents to tell them what to check and how to check it, by mid season we were even getting calls from fire officers and environmental health officers asking what the rules were. which is one of the documents along with the NCASS Code of Practices that sets out the requirements for our industry. If like me by now you are feeling confused don’t feel bad, I thought that it was CORGI that looked after all this kind of stuff, and it was, that is until they changed last year to GAS Safe and now no longer set standards but simply maintain the register for GAS Safe engineers. So where does this all leave us, the humble caterer trying to make a living?. 1) It is a legal requirement to have all mobile catering vehicles and trailers that have gas equipment installed, inspected by a Gas Safe registered engineer every 6 months…whether the Trailer is used primarily for the summer season or not…. 6 months is the required Certification length. 2) Unless made before 1996 all gas equipment must be of a proprietary manufacture and be CE marked, which means that it has been tested by an approved test house, and conforms to a European standard. To have none CE equipment installed means that the Gas Safe Engineer should not issue a certificate. The fact is that some Gas Safe engineers are issuing certificates to trailers that have none CE marked equipment for whatever reason. This has now come to the attention of both Gas safe and the Health and Safety Executive (HSE) who are taking action against these engineers. A Gas Safe engineer has to have additional qualifications to work on LPG catering equipment so make sure that the engineer working in your business is suitably qualified. Does your Catering Trailer meet current Gas Safe Legislation ?